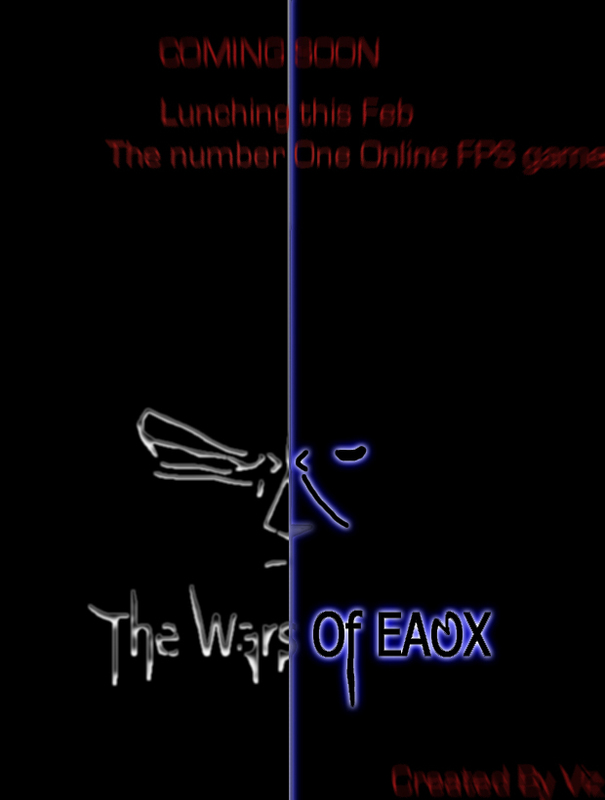 Hey guys i am creating an awesome new online strategy game and will be completed in about a month. It is a Fps strategy game kind of like halo except not that great. The best part is tat its an online multiplayer game. I wish you all to be connected thru this forum. so you secretly kill people while increasing ur democracy. You are one among 10 Emporers ruling each divisions of Eaox. Eaox is a Land of prosperity and wealth.At first it was peaceful until 10 rebels started the war. Now Each of these Rebels have their own power and fellowship. Each of these Players have their own special powers. Reiste Viz.The true power of Viz comes from the sword of Mirtaz. same time and hence said to minimise the attack of the sword of Mirtaz. her attacks she will not stop until DEAD.Her secret ability is to control the water. uncontrolled chain reaction causing maximum damage and destruction to the land of Eaox. Essiren has the power to control sand.She rules over the deserts. Blancher was one among the counsil but left for he had gone to fulfill his destiny of being a hero. His power is to control the minds of his opponent but not all are affected by thins. her beauty.She controls the grass. vishaalz u really r insane?